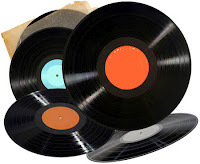 The Vinyl Pulse, is a weekly snapshot of what is selling on the big vinyl machine called eBay. This is a great way to keep your eyes peeled for a specific record and what you might have to pay for it to obtain it. CollectorsFrenzy lists the top 25 real time ended auctions and the selling price for the collectible vinyl and is updated daily. On December 20, a 'ultra rare' (don't ask me what the difference between rare and ultra rare is) Pink Floyd 'Piper's" LP sold for just about $5,400, so someone is getting a nice stocking stuffer. Please visit CollectorsFrenzy for daily updates! also did some checking, there are 1,608,015 active listings for the search term LP on eBay today, and this is about the weekly average. Lots of records for sale on the big vinyl machine. Our friends at No Sleep Records are releasing a brand new 7" featuring Braid along with rising alternative rock band Balance and Composure. 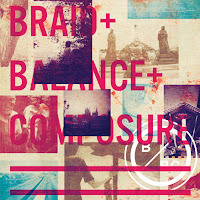 The split features two exclusive tracks from each band and is available on a variety of limited edition colors. The No Sleep webstore has teal (500 copies) and gold (700 copies) vinyl available. Red vinyl (limited to 700) is available at the Polyvinyl E-Store. Pre-orders ship Feb. 26. White vinyl in stores Feb. 26.
simply fantastic write up, cheers to the author (Tim Ghianni) !